Today I am back with another skin product review. 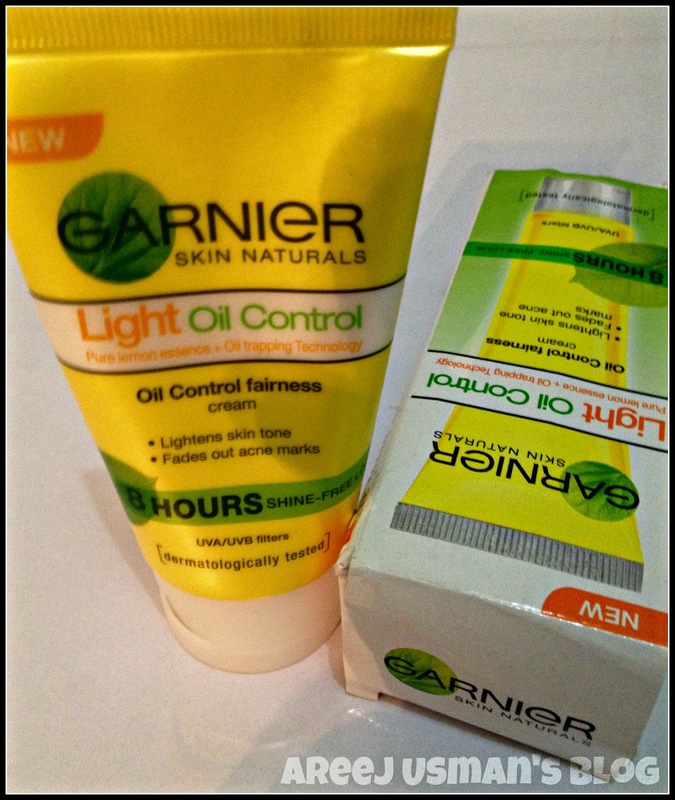 Want a shine free face this summer….Go for GARNIER Light Oil Control Fairness Cream! Yes its the newly launched product by GARNIER! It gives the skin shine free fairness through its oil trapping technology coupled with the lightening efficacy of natural lemon essence. Garnier SN Light Oil Control ensures that skin remains shine free for as long as up to 8 hours and can be used through all seasons. 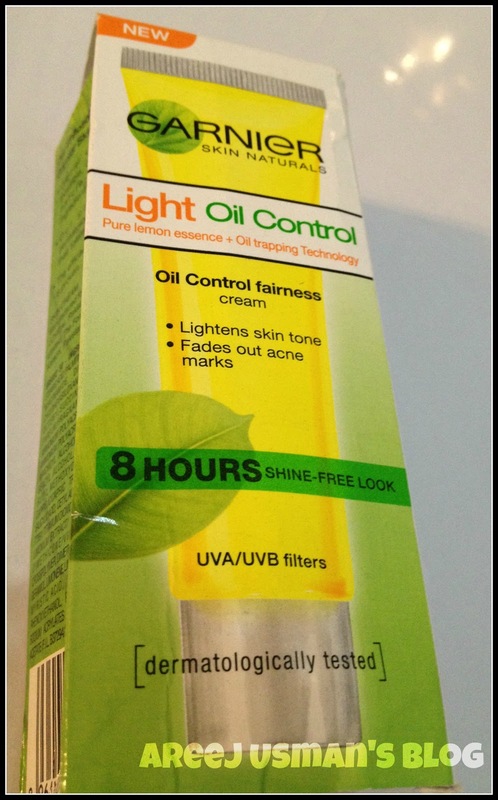 Regular use of Garnier SN light Oil Controlalso lightens the skin tone and fades out acne marks. 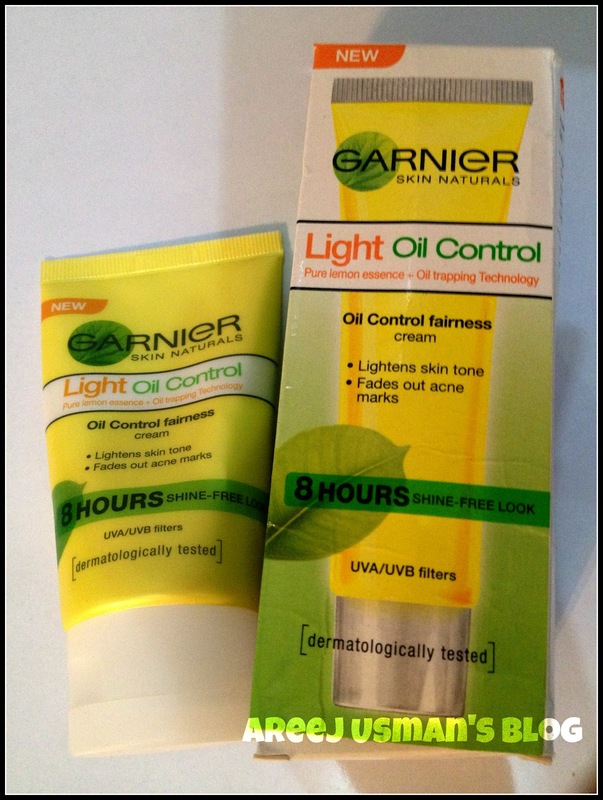 Like all Garnier Light Skin Naturals Products, Skin Naturals Light Oil Control has been dermatologically tested for tolerance and efficacy of the product is proven. This fairness cream is a sequel to the GARNIER LIGHT SPF15 Launched last year.I am usually not into GARNIER products.I once used one Garnier product long time ago & wasnt satisfied with it.But when I got the oppurtunity to try this Fairness Cream by GARNIER I thought to give it a go. I love the lemonish scent of the cream.The texture of the cream is just like whipped cream on top of a cake. Ok so now lets move to the first main purpose of the cream.The oil control,is really good.The cream promises 8 hours of shine free look.That means that you can achieve a matte effect all day long even in the sweaty hot summer days.This cream seems to absorb the oil on your face and keep it looking shine free.I have oily skin and I do have that oily face sometimes.This cream did a great job with me as after applying this I had a matte look during the day.Though I must say I didnt go for foundation of face powder with it because most likely if you apply this cream before applying make up then you will not be a happy person as your skin will become somewhat flaky due to the dried up effect on the skin. 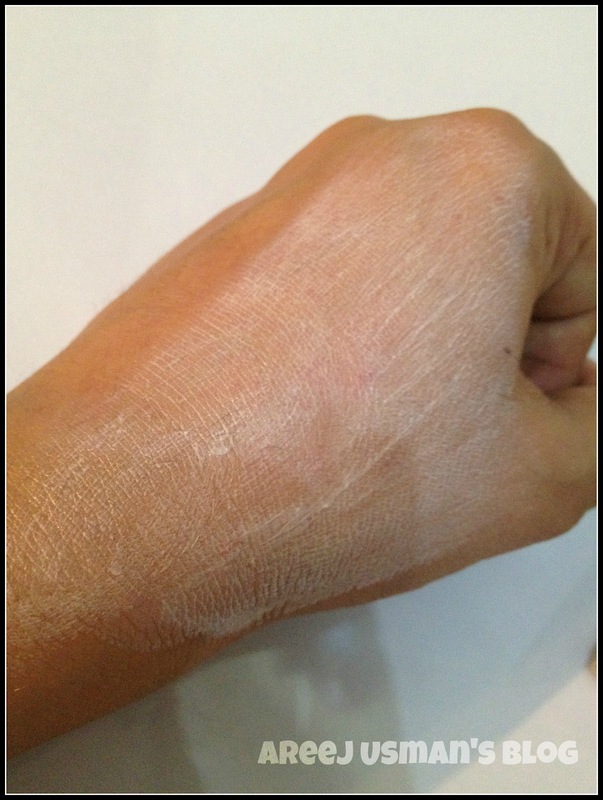 The next main purpose of the cream is the whitening effect.There is something with all GARNIER Creams as they give some special attention to the fairness factor.To be very honest I havent used this cream that long to prove that it does lighten skin tone by numerical numbers.May be if someone uses it continuously for a prolonged period of time then the difference would be seen.I though believe that they wouldnt say it lightens skin tone if it didnt after all it is a great name. 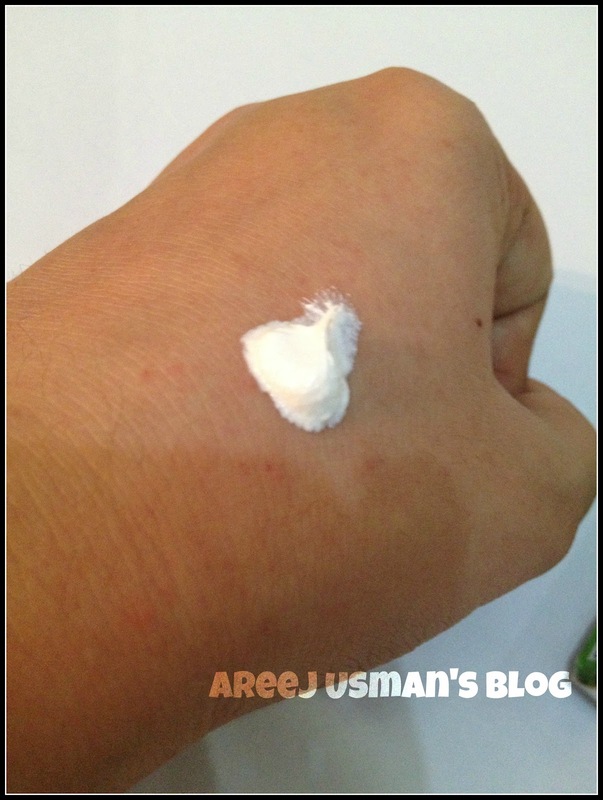 The good thing about this cream is that its darn cheap & everyone can afford it whether someone who wants a matte looking skin or someone who wants to try a new fairness cream.This cream also promises to lighten acne marks with continuous use. Overall this product is good for people who have oily skin and want to have a shine free looking face.I would also recommend this to girls who are to be married soon & want a quick freshening effect to their face plus those who want to achieve a fairer tone.The presence of UVA/UVB Filters also makes it a good affordable sunscreen. A very affordable & nice skin product recommended to be included in your skincare routine specially if you want to achieve a fairer oil free look. I was looking for new oil control cream, Can we use it as night cream? Mahrukh I guess there is a night version of the Original GARNIER LIGHT. You can go for that. 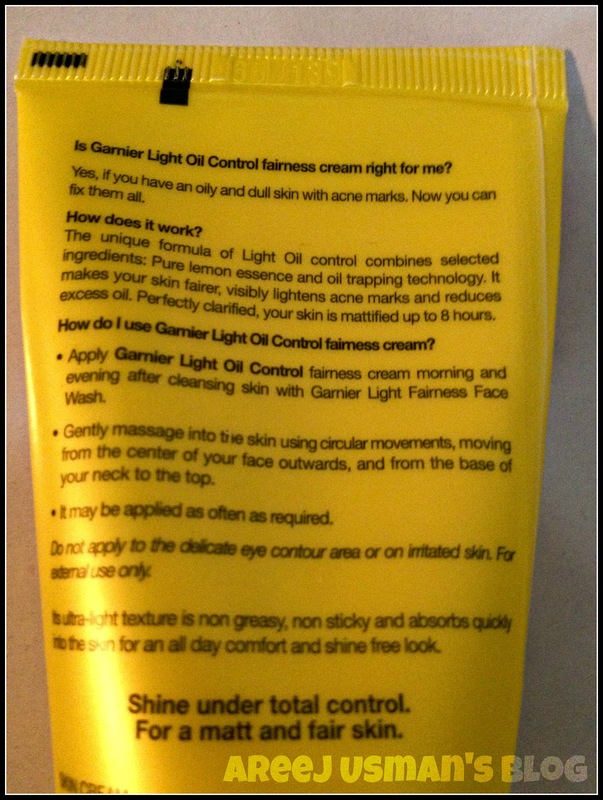 Really nice review and nice oil control cream. 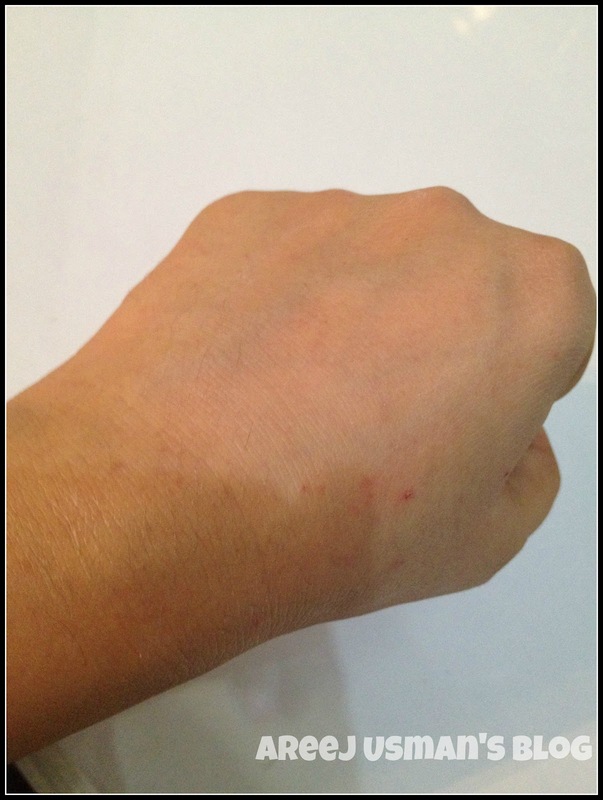 i have a normal skin..can i use this cream and will it make my skin colour lighter or fair?